Many of us have cleaners to help with the regular cleaning, and many of us manage the day to day surface cleaning ourselves. Even a weekly vacuum and dust can be manageable in some busy schedules. However, after a while, you will start to notice that your home is not as clean as you would like, and this is where our London specialist deep cleaning services come in. This is not only the ideal service for home owners, but for tenants and landlords too, or those who are just moving into a property for the first time, wanting to start afresh. Our professional Flowermaid cleaners carry out deep cleaning services all across London, and have high standards they adhere to. All our cleaners are fully vetted and insured and so you can rest assured that your home is in the best hands. We offer a whole host of professional home cleaning services, so get in touch and see what we can do for you and your home. While we have our own deep cleaning checklists, we welcome suggestions from you, and encourage you to tell us exactly the things you want deep cleaned. If there is something that you have been putting off for ages, or a certain part of the home that has really been getting you down, then we are the people to fix it. Let us take the thorough cleaning off your hands, and then enjoy the feeling of walking into a completely spotless home. Feel safe in the knowledge that your entire home has been deep cleaned, disinfected, and aired out. Why Chose Flower Maid ? We GUARANTEE you’ll love us ! At Flower Maid we pride ourselves on our customer services and the work of our cleaners. Therefore, we go above and beyond to make our clients happy. Thank you so very much for the Spring Clean of my flat earlier this week. I am absolutely delighted with the results. I can't believe how shiny and fresh everything looks. I am very impressed with the service Flower Maid provided and l've already had a couple of my neighbours ask for your details. Thanks again to you and your team for a job well-done. I will certainly be coming back to you for more work in the future and happy to recommend your cleaning services to anyone. With Warmest Regards. I wanted to thank you for assisting us with an urgent End of Tenancy clean recently. As a lettings agent in a fast moving lettings market, it's often the case that we only have a very short window of time to get a property cleaned before the next set of tenants need to move in. You provided really great service and exactly the sort of support we need from our contractors to keep our lettings business running smoothly Many thanks again! Flower Maids are a great team - always friendly, helpful and thorough. I've been with them for nearly 3 years and they always do a great job. Excellent service. A great customer focused business. Responsive, flexible and dependable. 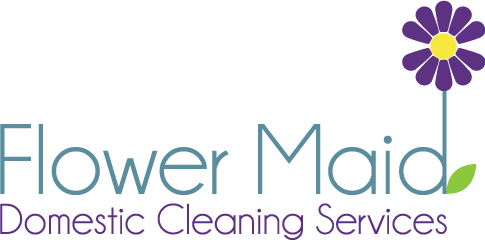 Cleaning is to the highest standard every week but it is the attention to detail and reliability that make flower maid stand out. Brilliant cleaners, polite and professional. Best cleaning firm in Richmond by a mile. Cant fault them. Very happy.